After the awesome tour to Ecuador's rainforest in 2011 and five tours to Bolivia, we will return to Bolivia in early 2018 to explore this extremely biodiverse country from the Altiplano down to the Amazon Rain-forest. 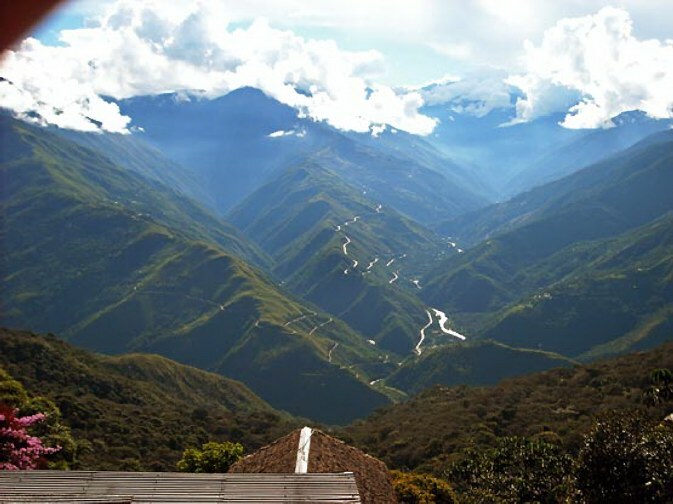 We will spend a week in the jungle amidst wildlife and mushrooms and also dedicate time to the incredible biodiverse Yungas region on the steep Andean slopes. Arrival and departure from La Paz, Bolivia's historic center. All expenses on the ground including accommodations in double room where available, meals & transfers & river boat transportation, except alcoholic drinks, coffee breaks, snacks, laundry etc. Participants will need to organize their own flights to La Paz. (Miami - La Paz starts at $550, LA - La Paz $850). It is nice to arrive a day early, we will help booking a room. 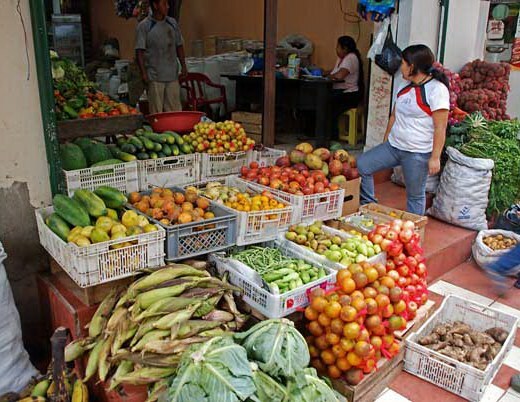 Meeting at Hotel Milton in La Paz in the morning for visit to street markets including the famous witches market. 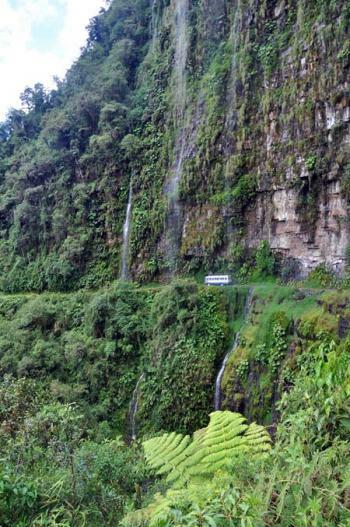 After lunch, take off for drive to Coroico in the Yungas. Crossing La Cumbre Pass, the highest point of our journey at 4,700 meters or 14,260 ft, the Andean watershed, with spectacular mountain vistas. Descend on the infamous "Road of Death", which is now one way and hardly used. to Coroico located officially at 1471m (4560 ft). Hotel Esmeralda, which features sauna, pool, balcony bar, and other amenities. Hiking and mushroom search in the nature preserve of the Yungas, the cloud rain forest zone located between Altiplano and the Amazon. Staying at Senta Verde. 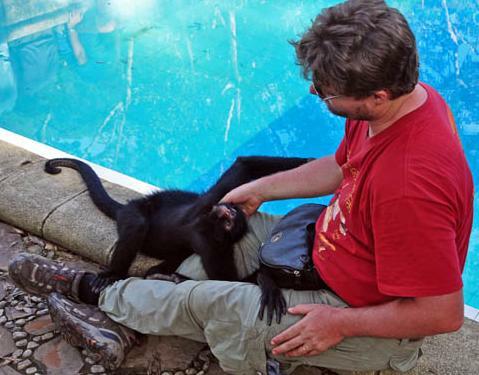 Senta Verde Wildlife refuge: meet Capuchin and Spider monkeys, ANdean bears, puma and a range of other endemic wildlife. 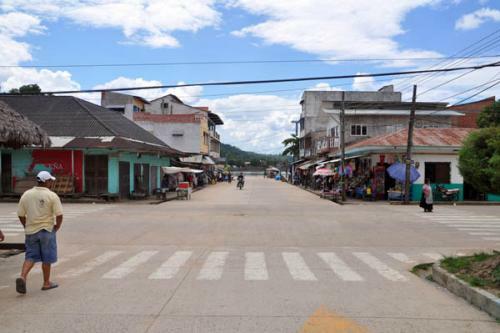 Evening in the historic and scenic town of Coroico. 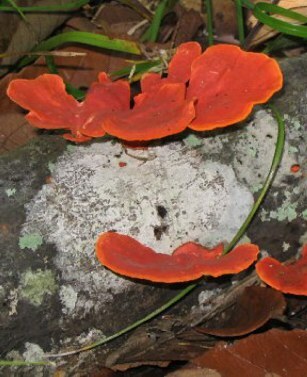 Canoe up the Beni river from Rurrenabaque to Wizard Mountain, which has great mushroom diversity. Picnic Lunch. Return to Rurre in the evening. Breakfast in Rurrenabaque. Fantastic canoe trip through the rain forest of Madidi National Park. 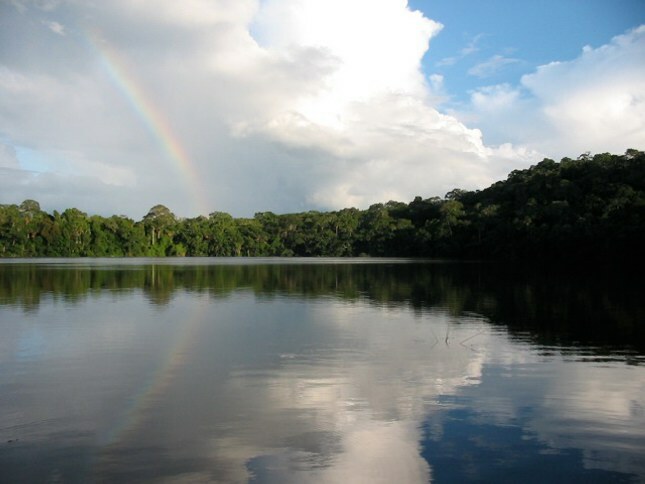 Madidi is one of the most biodiverse Parks in the world! 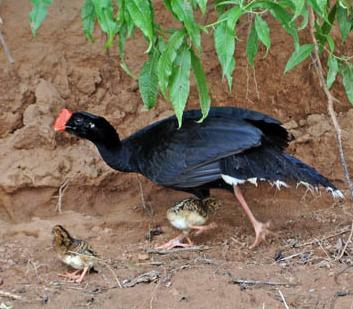 Arrive at Madidi Jungle Lodge, settle in, hike jungle trails, dinner.. 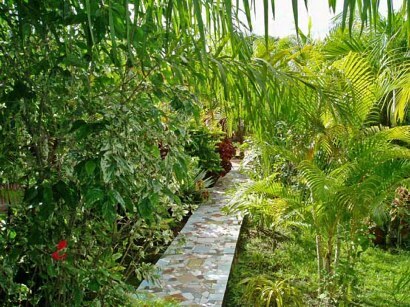 Jungle walk. Mushroom foraging with local guides. Visit of Caquihuara Macaw Cliff, a nesting colony of Macaws and Parakeets. 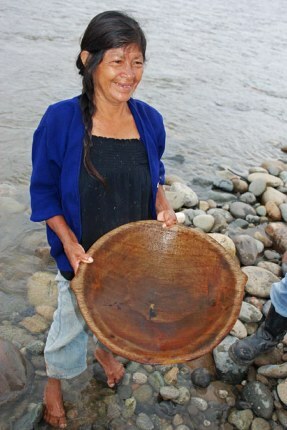 "Experience Tacana culture" offered by Tacana people. 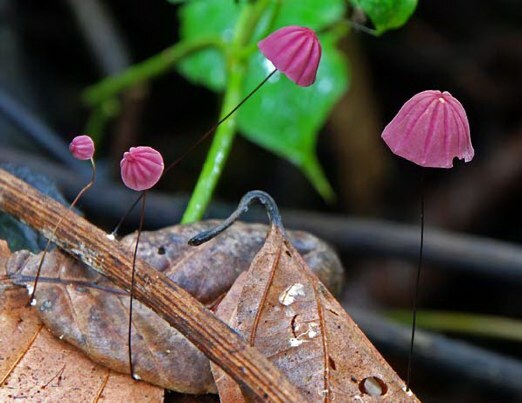 Opportunity to search, photograph and hopefully identify what is likely to be hundreds of fungal specimens including elusive Cordyceps (Note: specimens must remain in Bolivia). Participants who are not inclined to documenting their finds that thoroughly, can enjoy a great day in the rain forest with their guide. 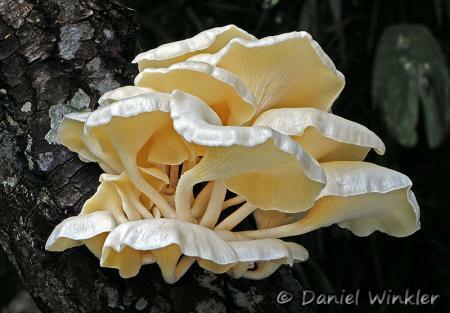 Sunny mornings and a cooling shower in the afternoon makes for an ever-changing procession of mushrooms on the logs and insects of the jungle. 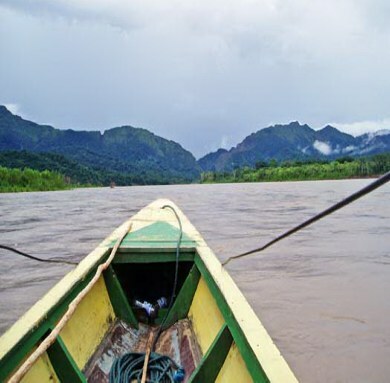 Boat ride on the Tuichi River to another lodge, Troops of wild monkeys pass through the lodge area in their nomadic pursuit of fruit and insects. 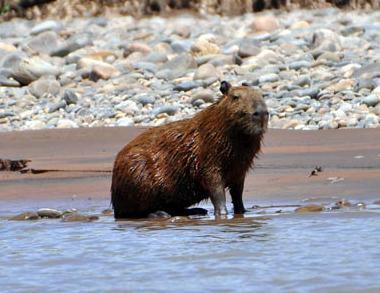 Herds of wild peccaries, both white-collared and white-lipped, can be tracked by the local guides. Crocodile-like caimans bask on the riverbanks. 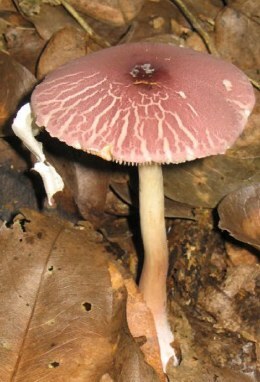 Mushroom collecting excursions will range between the Tuichi and neighboring river basins, in primary tropical rain forest. 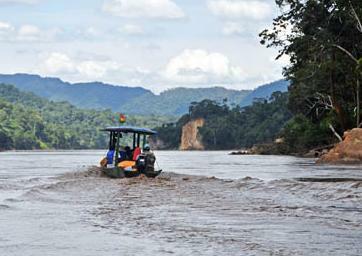 Local guides are offering their services for all kind of adventures in the rain forest and along Tuichi River. After the forest excursion awaits a lazy afternoon on the river or napping in a hammock, we will take a midnight jungle hike to visit with the nocturnal residents of the upper Amazon. 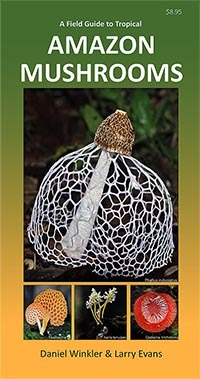 A variety of carnivorous invertebrates and Stinkhorn mushrooms are usually found. 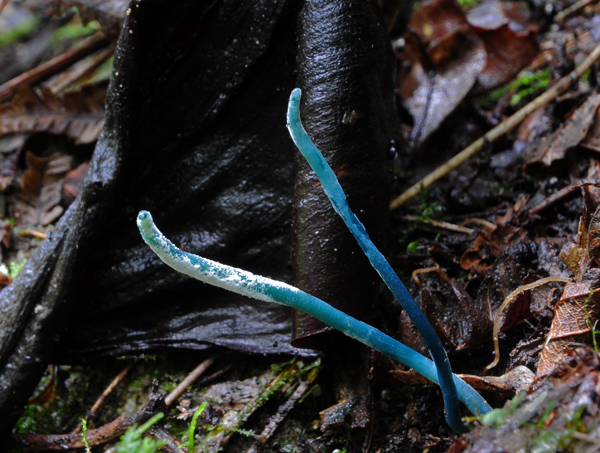 Of special interest are bioluminescent fungi. Morning forest mushroom walk. After lunch boat ride down the Tuichi and Beni Rivers. Return to "civilization" in Rurrenabaque. Laundry and Dinner! Flight from Rurrenabaque to La Paz. Afternoon shopping in the markets of La Paz. Hotel Milton. Excursion to Valle de la Luna, return to La Paz. Group disbands in La Paz to fly home or go further. 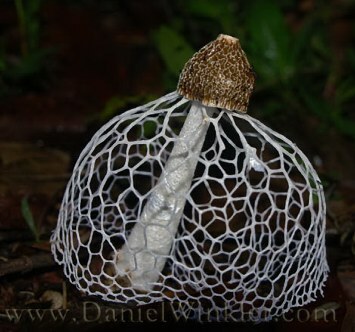 Note: You do not need to know mushrooms, but it surely helps if you enjoy poking around in the forest looking for mushrooms, insects, flowers etc. 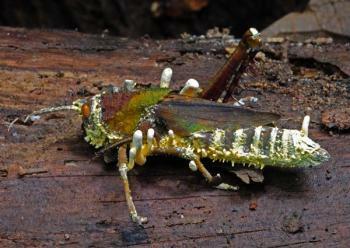 This part of the Bolivian Amazon has had no recent cases of yellow fever or malaria known to us. Should you have problems with high altitude travels, please let us know and we will work out an itinerary that minimizes or excludes high altitude exposure. Also see Daniel's Tibet tour page regarding high altitude issues and how to deal with them. 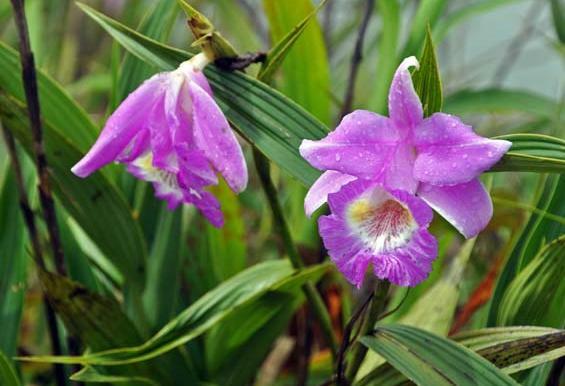 Seeing the Amazon rainforest on a Prestige Yacht for sale can allow you to explore the various plants, mushrooms, and animals that you would never otherwise see. Your boat can even come in the same color as a Stinkhorn for example. 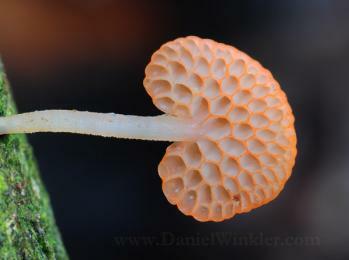 Link to Cordyceps Species page with many more Cordyceps images. 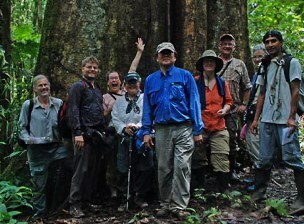 2011 MushRoaming group in front of a rain forest giant. From the left organizers Larry and Daniel and the participants Betsy (Lloyd is missing here), Reba, Milton, Bellamie, George and Sharon and local guide Alberto. 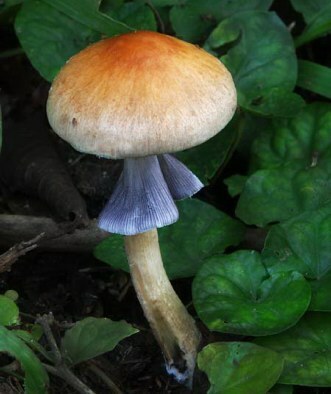 A Psilocybe, probably P. cubensis growing in horse manure. 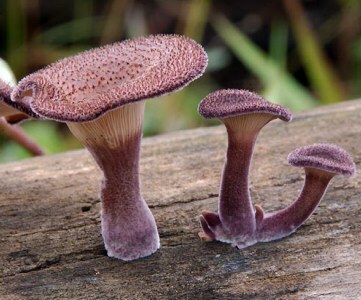 These dark spored agarics are common in tropical South America. 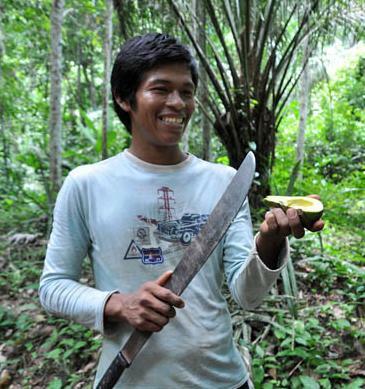 Strangely, indigenous people do not seem to have had a use for them, although they discovered and used more psychotropic plants than any other culture. 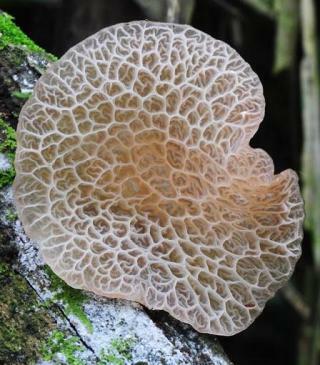 Polyporus udus, a fleshyand saturated tropical polypore that has an excellent taste. Lago Chalalan is located in the heart of the famous Madidi National Park, that protects the core of Bolivia's Amazon rain-forest. Chalalan, Bolivia, Jan 2008. 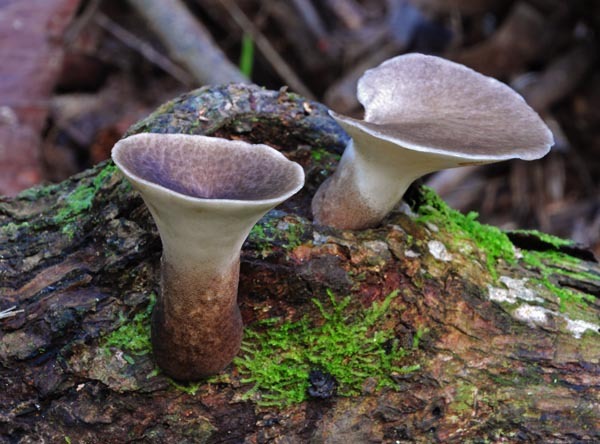 Polyporus tenuiculus* (Beauv. : Fr.) Fr. 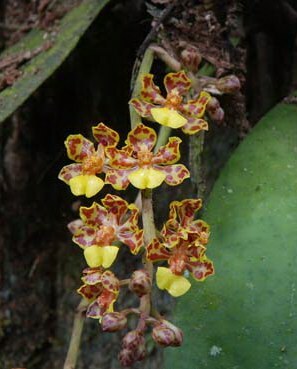 Oropendula flock – Psarocolius sp. 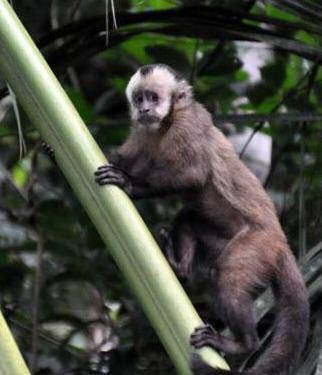 Brown Capuchin – Cebus apella apella? 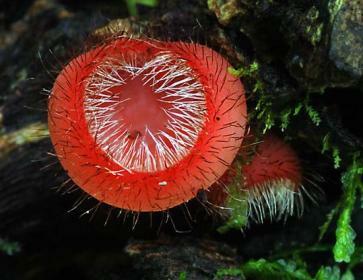 Amauroderma sp. 2 specimen, forking stems. 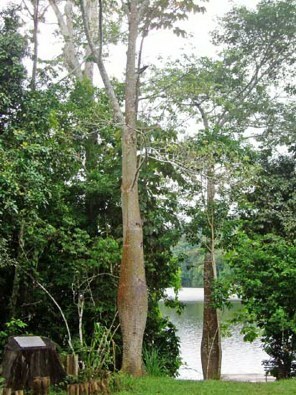 Royal Palm – Mauricia sp. 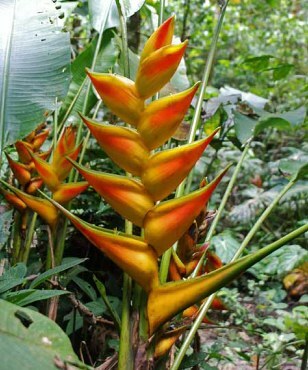 Hot lips – Psychotria sp. maybe Ps. elata? tree frog - Hyla geographica? a Polison Dart Frog – Epipedobates sp. Leaf-cutter ants – Atta sp. Jan 27 Chalalan Lodge to Rurrenabaque. Jan 28 Rurrenabaque – flight to La Paz, bus to Coroico. Morning hike along the Beni gorge. CrossingLa Cumbre Pass, the highest point of our journey at 4,700 meters or 14,260 ft.
Descend on new highway to Coroico located officially at 1471m (4560 ft). Turtles, Cotati, Mccaws, Parakets, Anaconda, Caiman etc. Vicuña - Vicugna vicugna - along the highway. Salt flats with Palacio de sale / salt museum build from salt bricks.